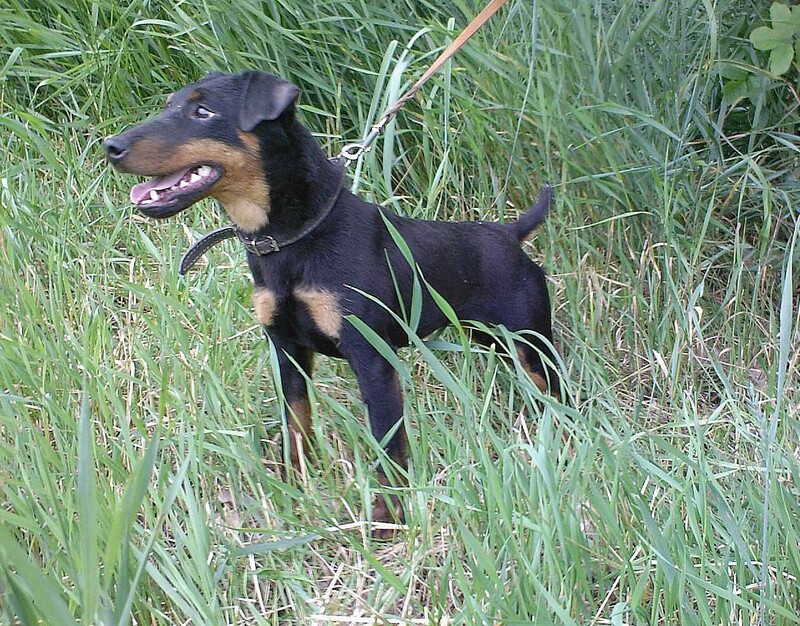 Bold and brave German Hunting Terrier dog with a very special character, she is friendly to people, but can be aggressive toward animals. Bold and brave German Hunting Terrier dog with a very special character, she is friendly to people, but can be aggressive toward animals. This breed is for real hunters, not suitable for the role of a simple pet. Beautiful dogs and puppies of large and small breeds posing in photos of high resolution. High quality pictures with dogs.